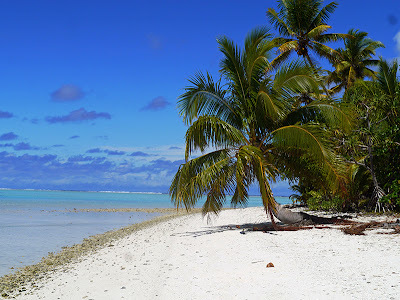 One of the more unique experiences available to cruisers traveling in the Cook Islands is a visit to Palmerston Island. Palmerston Atoll is one of the largest atolls in the South Pacific, consisting of approximately 22 motus surrounded by a reef and lagoon, and Palmerston Island is its only inhabited motu. The settlement history of Palmerston Island has a twist in it when compared with most South Pacific islands (which are believed to have been populated by a westward migration from southeast Asia) in that it was settled in or around 1860 by an Englishman, William Marsters, and his three Polynesian wives. 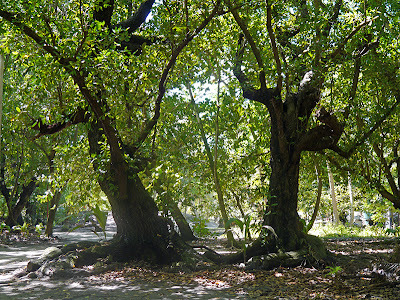 Much conjecture surrounds how William Marsters originally came to the island. 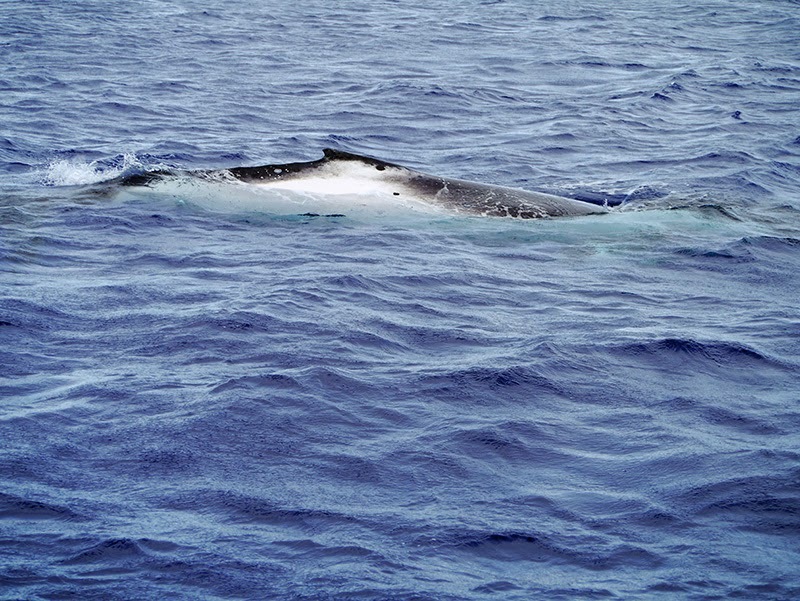 One version we heard described Marsters as a barrel maker aboard a whaling ship who abandoned ship and swam ashore. 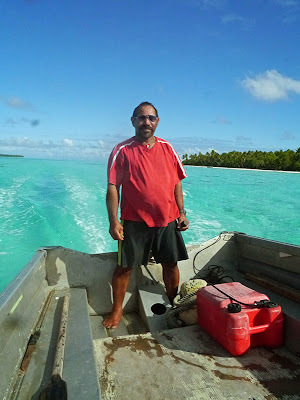 Another version had him arriving at the island already wed to his Tahitian bride. She became lonely, so Marsters sent for her two cousins, who eventually also became his wives. In any case, all of the people currently living on the island are either direct descendants of the original three family lines (from each of Marster's three wives), or their spouses, transplanted from other islands. 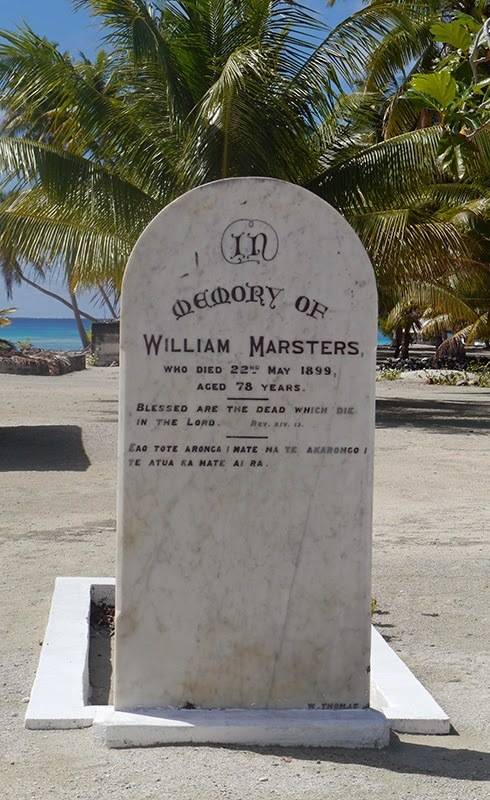 Almost everyone we met on the island had the family name Marsters and all the tombstones that we saw in the cemeteries were engraved "Marsters." 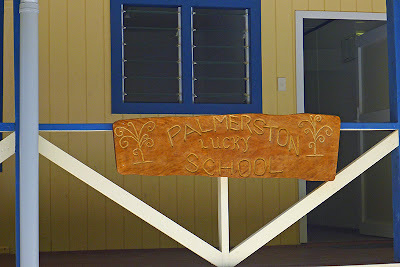 Today, there are 64 inhabitants of Palmerston Island, almost half of whom are children. Over a thousand descendants of the Marsters family now live elsewhere, most in New Zealand or Australia. Systems that were established by William Marsters are carried on today. 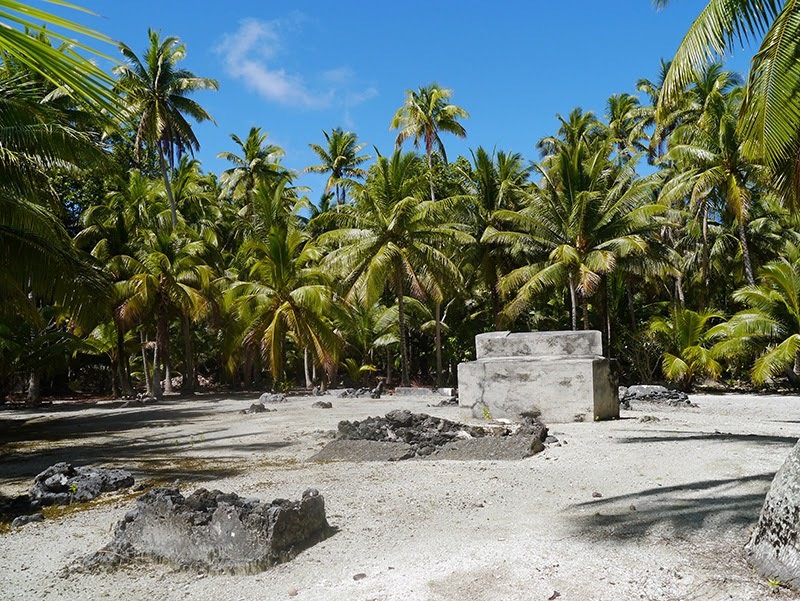 The land was divided up equally among Marsters' three wives and remains divided among the three family lines; although all of the islands inhabitants eventually moved to Palmerston Island, giving it the nickname "Home Island." The power structure on Palmerston is also divided among the three family lines (sort of like our system of checks and balances), with the eldest male in each family line holding a position of significant authority. While in theory, the power structure is fair, from what we read and from our conversations with islanders, there is a good deal of in-fighting and competition for scarce resources. 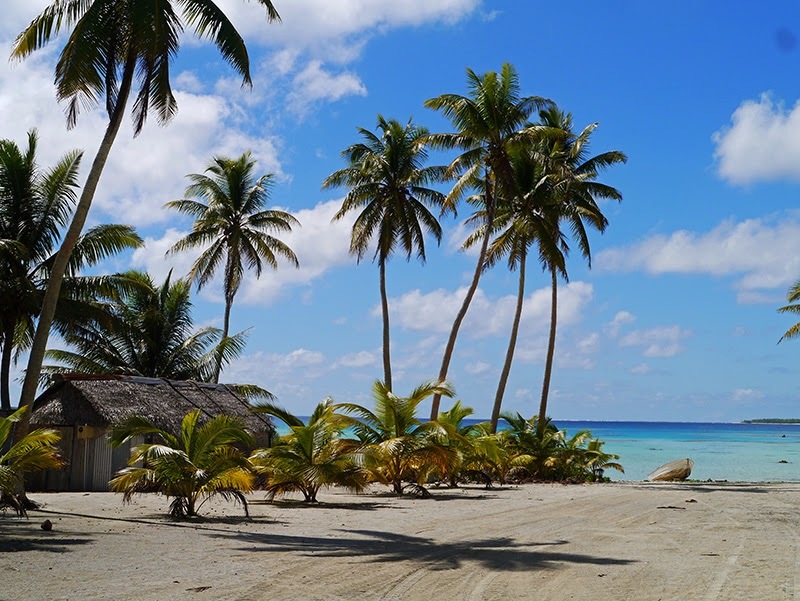 On a positive note, this situation seems to be slowly changing as the Palmerston islanders realize they can achieve more through cooperation and developing a collective vision than by looking out for the special interests of their own family line. Another tradition of Palmerston Island is that visiting vessels (yachts and cargo ships alike) are "hosted" by one of the Marsters families. The first family with whom you make radio contact becomes your host. 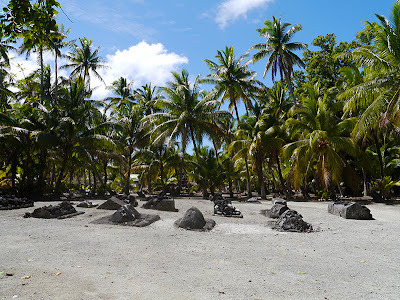 While some reports we read on other sites implied that you can have some control over which family hosts you, it appeared at the time of our visit that the islanders have their own system for delegating hosts to vessels. 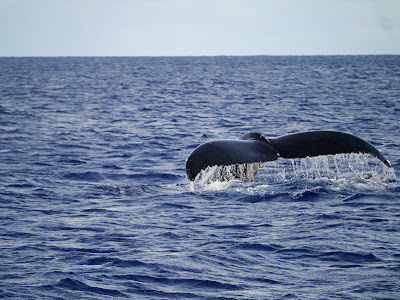 In fact, even though we were told there are currently four families hosting vessels, the only people to respond to any of the vessels arriving in the anchorage during our stay were Edward or Simon Marsters. 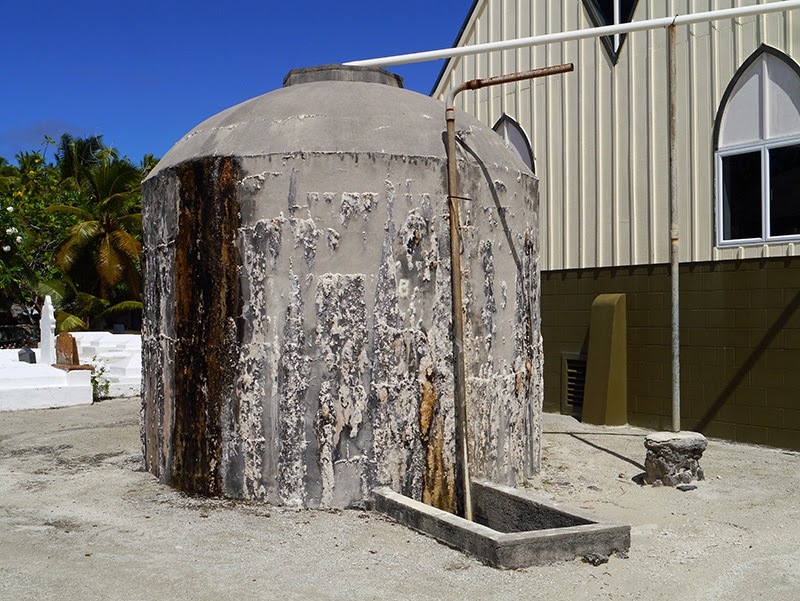 This indicated to us that it was either their family's "turn" to host vessels or that perhaps, some of the other host families were off-island at the time. The degree of "hosting" appears to vary with the family, but at a minimum, members of the host family will direct you to a mooring or place to anchor, ferry you back and forth from the anchorage to the island in an aluminum launch, give you a tour of the island, and feed you while you are on the island. 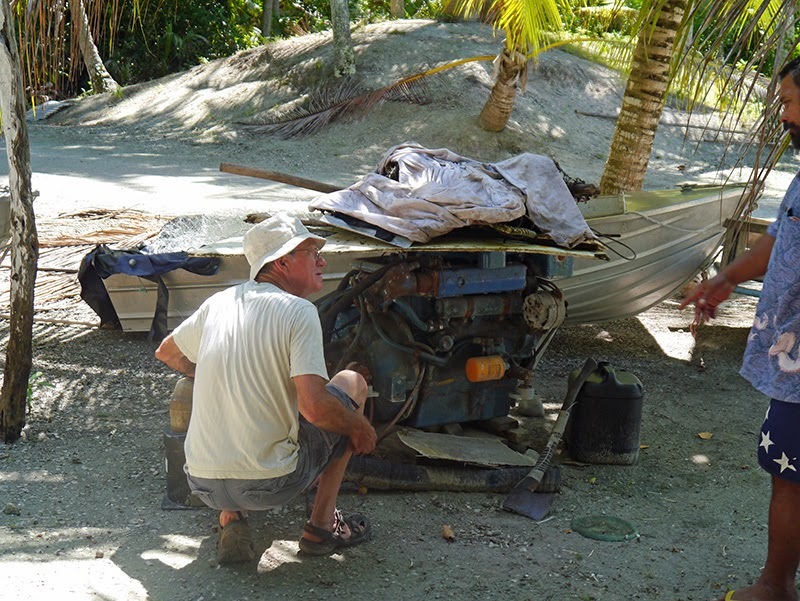 One of the hosts that we met, Bill Marsters---who, with supplies and help from yachties created the Palmerston Island Yacht Club (sporting the bar with no beer) ---also assists boats with getting their laundry done or filling jerry jugs of water from the island's cisterns. On the surface, all of this looks like hospitality, but attached to it is a cultural imperative to collect trade goods and services from the hosted vessel. The family that hosts you is the only family with the right to barter with you during your visit to the island. With an understanding of some of these facts in advance of our visit, we set off for Palmerston Island of a mind that the experience could be both interesting and perhaps slightly uncomfortable. As we left Rarotonga, a wheel and tire destined for the pastor on Palmerston Island (Tere Marsters) was lashed to the stern of our boat. As we approached the atoll, Patrick contacted the island by radio. One of the Marsters brothers responded to us, and we were told that Edward Marsters would be our host. 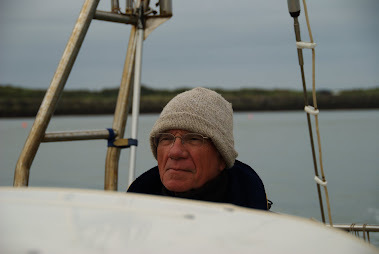 Edward and his son David met us at the anchorage and directed us to a mooring. The moorings at Palmerston consist of chain wrapped around and through small coral heads or anchored under coral flanges. The moorings were originally installed not by the islanders themselves, but by passing yachties with scuba equipment. Moorings are inspected (again, by the first yachties who come through with dive gear) at the beginning of every season. In addition to tying to the mooring, most vessels also hang an anchor over the side so that it almost reaches the bottom (the depth of our mooring was over 100 feet.) 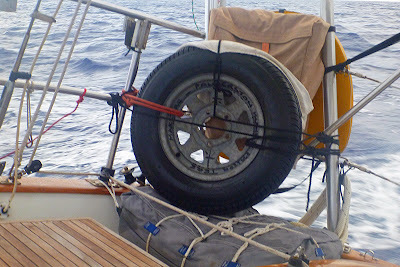 The hope is that if the mooring line breaks, the anchor will catch on something before your vessel goes up on the reef. It was windy and choppy when we arrived in the anchorage at mid-day and we declined an invitation to go ashore, both because we were tired from the passage and because we did not want to leave the boat on a new mooring in those conditions. 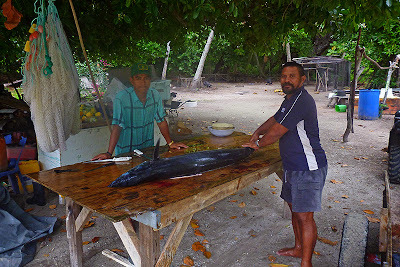 That evening, Simon Marsters came by the boat with some fresh parrotfish, already filleted, for our dinner! 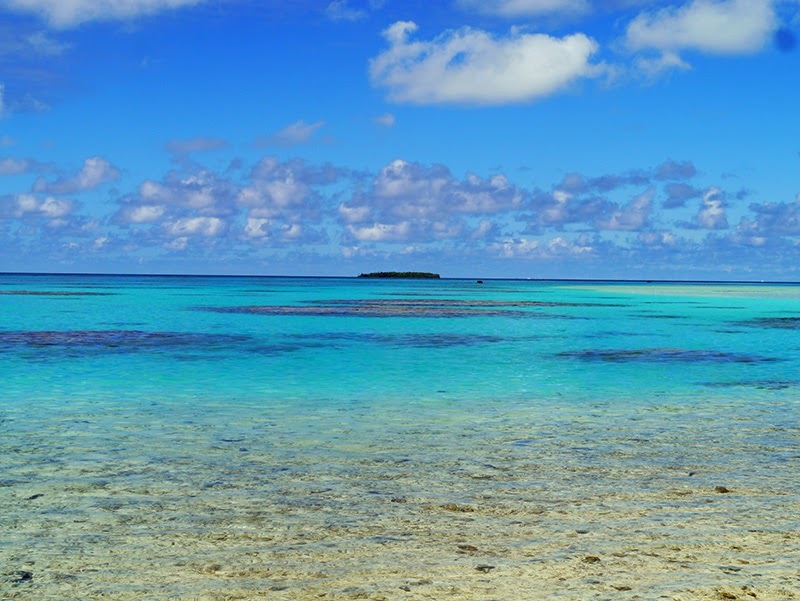 (There reportedly is no ciguatera in parrotfish on Palmerston Island.) We had already eaten but saved the parrotfish for the next morning's breakfast. (It was delicious, and we experienced no ill effects.) 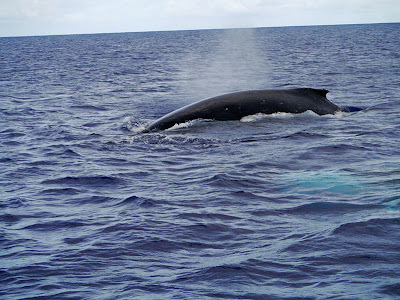 That night, we got up several times to check the vessel and had an uneasy sleep in the rolly anchorage. The next morning dawned calm and clear, with the sunrise colors turning the sea, sky and motu into a Maxfield Parrish painting. 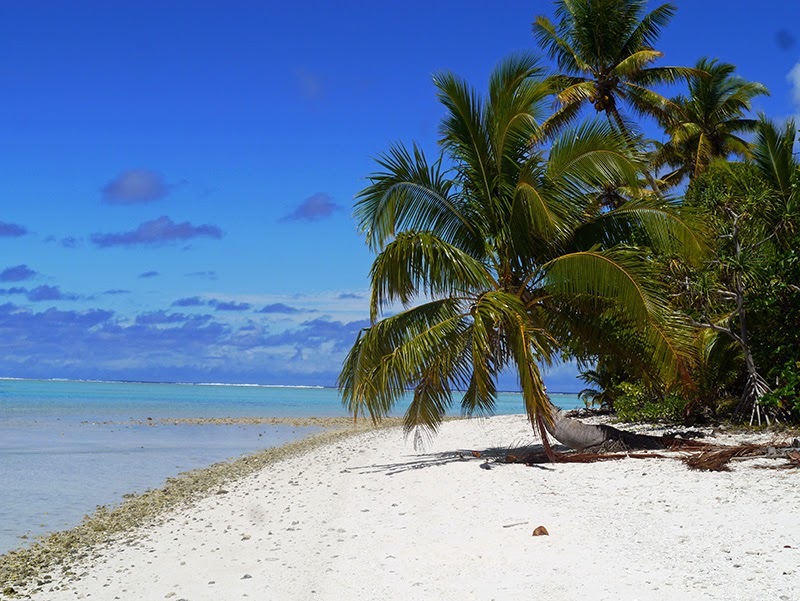 After the hustle and bustle of Rarotonga, it was a delight to be only one of two boats in the anchorage off the little motu. 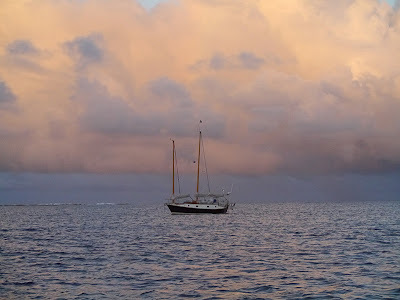 (The other boat was the Slovenian boat, Mala, which we had met in Rarotonga.) 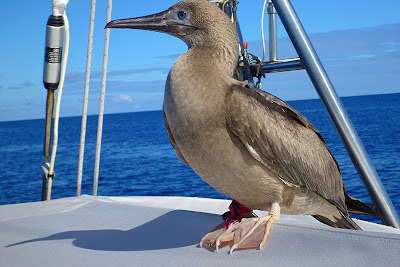 We were happy to again be visited by boobies, which seemed small after New Zealand gannets. A booby landed on our bimini with an interesting pink leg band. 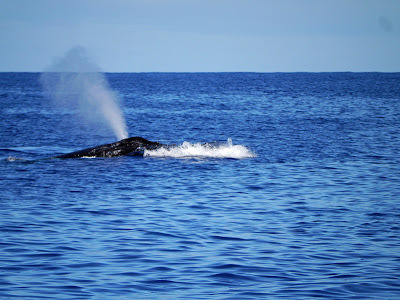 We then watched in amazement as first, a pod of dolphins passed through, the two calves traveling with them leaping out of the water, pirouetting and spinning. 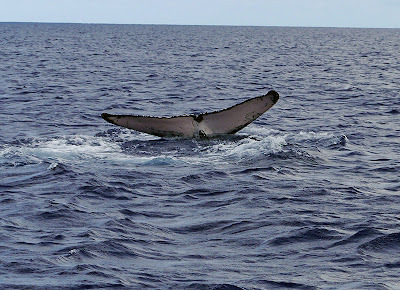 Next, humpback whales visited the anchorage, surfacing only feet from the boat. 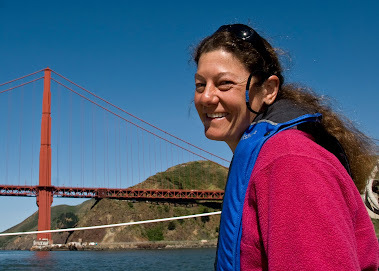 We experienced calm conditions for the next two days of our stay and went ashore that morning. 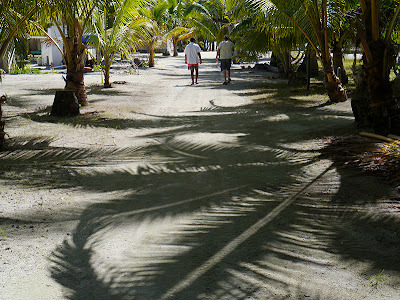 After the preliminaries of checking in, we took tour of the island. We had checked in and out of the Cook Islands in Rarotonga (with clearances for visiting the other islands)---paying the entrance fee, the fumigation fee, the departure tax, and the exit fee in Raro---so the only fees we paid on Palmerston were $5 per person to check in and $10 per night for the mooring.) Edward, our host, is a policeman on the island, and during our visit, he would frequently take off on a mini-bike to make a circuit of the village and do a police report. David took us on the tour of the island instead. What we saw was the future colliding with a history lesson in a unique sociological experiment. Our first stop was the Palmerston Administration office. 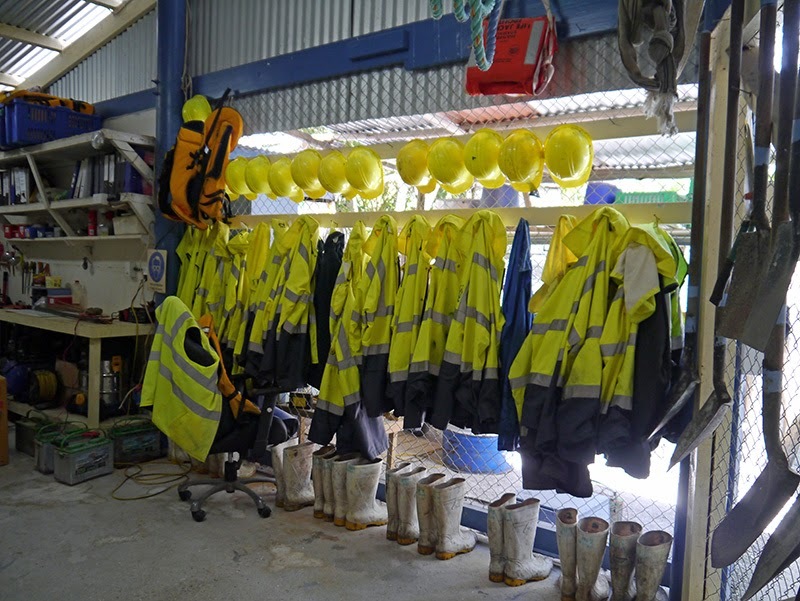 It's equipment shed was remarkably well-supplied for an island whose population consisted of 64 inhabitants. 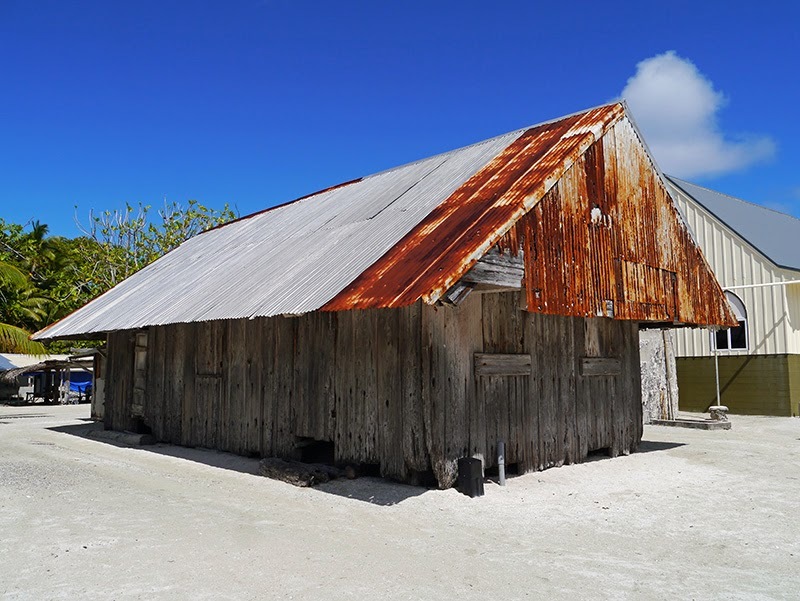 Built on a flat motu in a hurricane zone, William Marster's old homestead still stands. Patrick pointed out its massive timbers and the hand-wrought nails as big as railroad spikes. Incongruously, a modern black plastic electrical box and a gray telephone cable box stood in front of the building. When I asked about it, David told me they didn't serve Marster's homestead but were connected via underground cables to a house nearby. Two stone cisterns used to serve the water needs of the entire village; now, most homes have individual plastic cisterns and their own water supply. 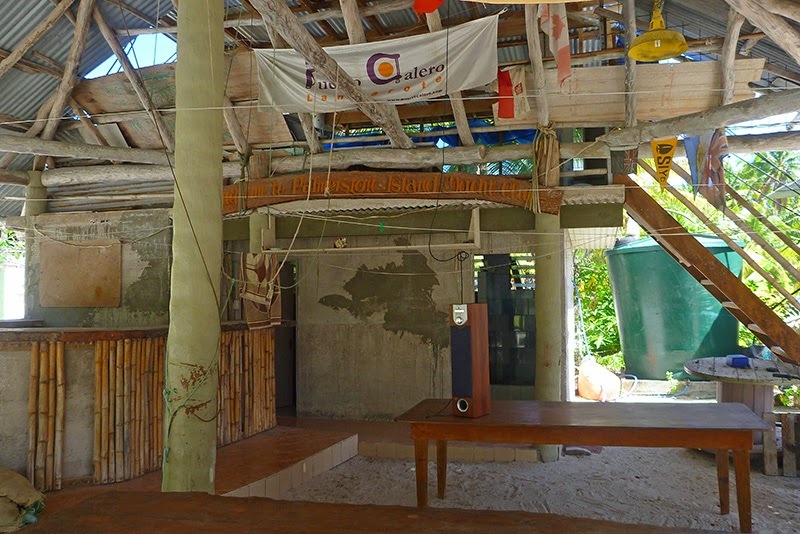 Flotsam and jetsam were evident throughout the island, not going to waste but incorporated into the buildings and daily lives of the villagers. 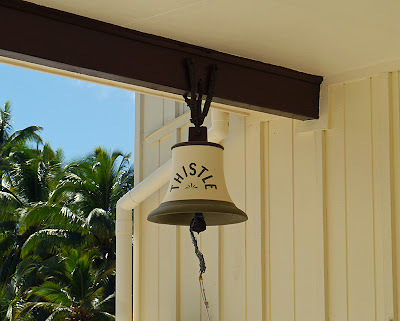 The church bell was originally a ship's bell, salvaged from the shipwreck of the Thistle. The same shipwreck may have supplied the timbers for Marster's home. 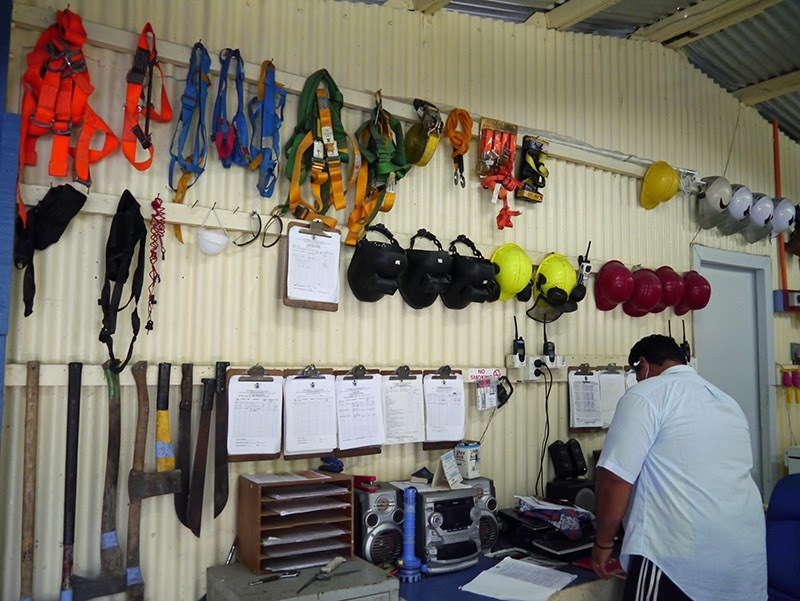 The Palmerston Island Yacht Club also displayed some materials salvaged from the wrack-line. William Marsters was buried in the church cemetary; while nearby, the remains of his three wives lie buried together in a crypt in the island's original cemetary. The island's communications system is truly astounding. 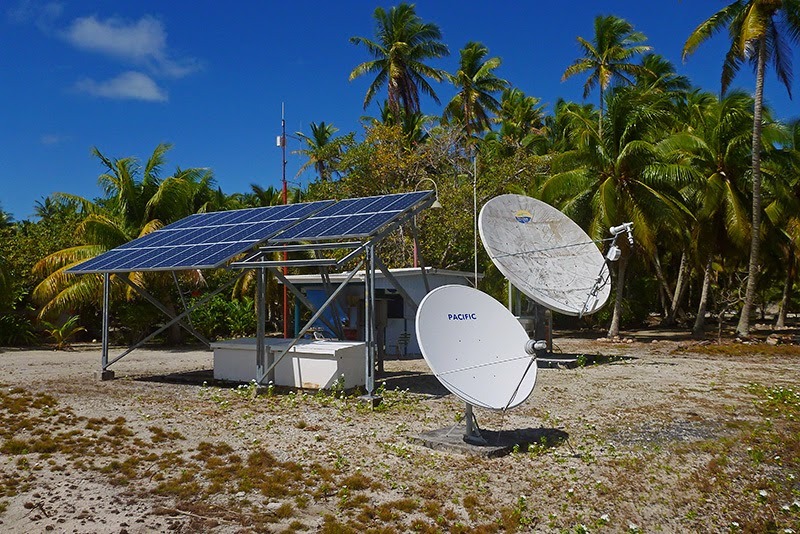 Satellite dishes allow islanders to communicate with their government and the outside world via telephone. A huge solar array charges a battery bank used to keep the communications system running. In the midst of it all, pines an empty telephone booth, awaiting a caller. "Palmerston Lucky School" is one of the newest and most well maintained buildings on the island. 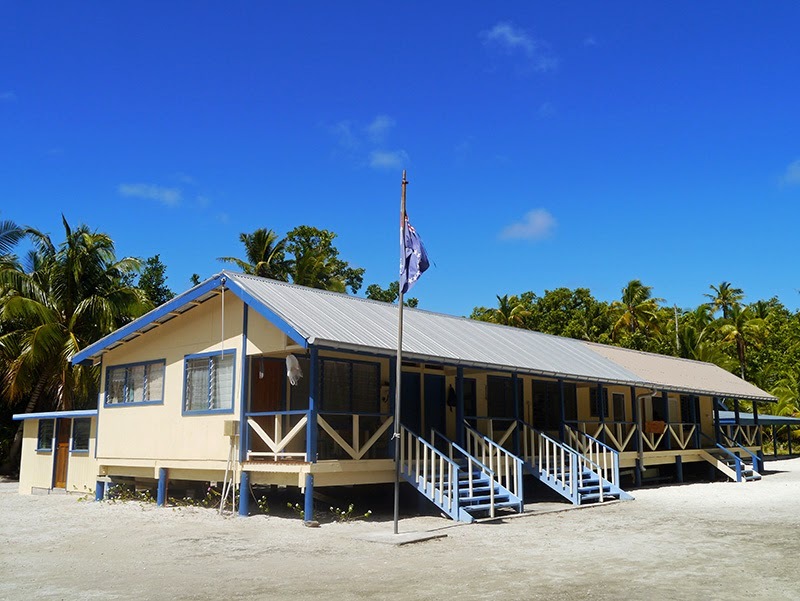 We did not visit a classroom since it was the first week of classes after a school holiday and we did not want to disrupt, but we peered into the open doors of both the primary and secondary grade classrooms. The island is densely vegetated with coconut, pandanus, and mahogany. 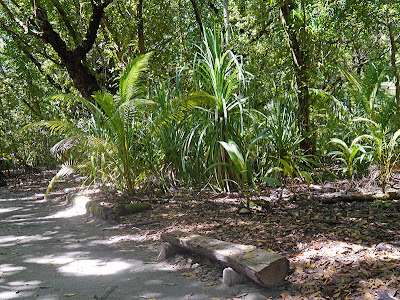 The paths lined with mahogany were particularly striking, as they provided the island's shade and often included benches or borders like a public park. 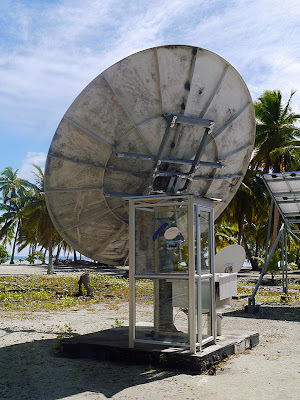 Again, we were impressed with the infrastructure (however basic) of such a sparsely populated island. 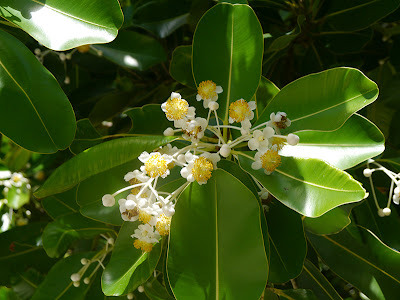 David pointed out how the leaf duff from the mahogany trees mixed with the coralline sand to create a kind of soil. 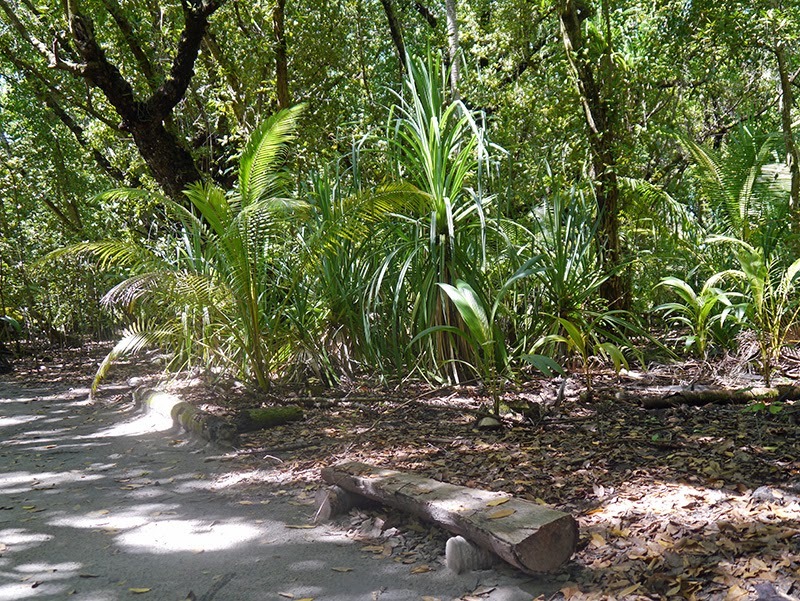 We did not see any gardens on the island, and we wondered whether it would be possible for the islanders to grow vegetables? While we were walking, David asked Patrick what he had done for a living back in the States. (Patrick worked as an aerospace technician for Boeing, first on their hydrofoil program and then, in IT.) Once we returned to Edward's family compound, Edward first showed Patrick a Perkins 4-107 engine (we have a 4-108 on Silhouette) and asked if he could help get it running. Although we have a similar engine, we didn't have a spare starter for the engine Edward has (possibly salvaged from the shipwreck Ri Ri) and since that was what the engine needed, Patrick was of no use in helping him get it going. Patrick was next paraded over to a generator and asked if he could help diagnose the problem with that piece of equipment. The family had apparently started the generator before, but it melted the sheathing around the wire coil. Patrick promised to bring back a volt meter the next day to see if the generator was putting out any power or not. 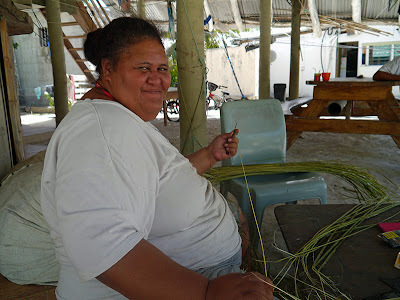 We were invited to stay for lunch, but lunch was being delayed until school was out, so Edward took us over to visit the pastor whose wheel we had brought from Rarotonga. Tere Marsters was interested in the cruisers' nets, because he was trying to line up a ride to Niue on a boat sometime in September. 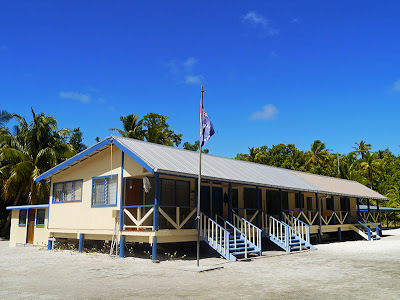 There is no airfield on Palmerston Island (whose entire perimeter can be walked in less than an hour), but from Niue, Marsters could catch a flight to Melbourne. Patrick was asked to contact the cruisers' nets and help line up a ride for Marsters. 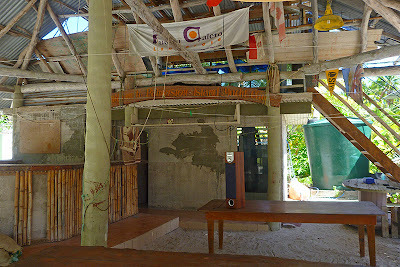 We were then ushered to a family lunch (the main meal of the day) of smoked parrotfish and rice with coconut milk. Since school was out, two more of the Marsters clan---John Willy, 5, and John Torcana (sic), 14---joined us. John Willy was very engaging, and he and I had a spirited card game of "Fish." 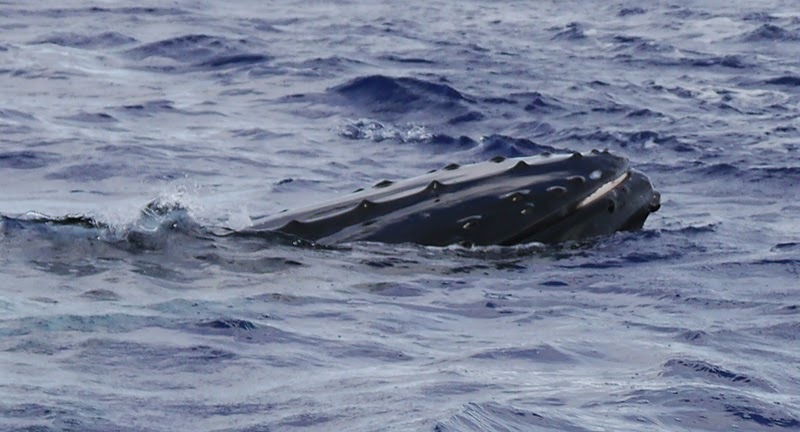 When we returned to the boat, we saw a sea turtle swimming through the anchorage. 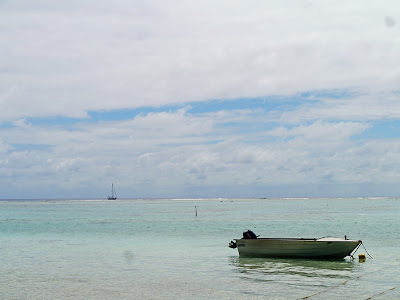 I went for a snorkel outside the reef and saw hundreds of colorful fish. 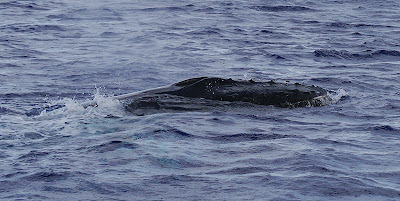 The next morning, we again saw humpbacks in the anchorage. We spotted a striking humpback with massive milky white-to-gray patches that began below its dorsal fin and ran along both sides of its vertebral column all the way to its tail. 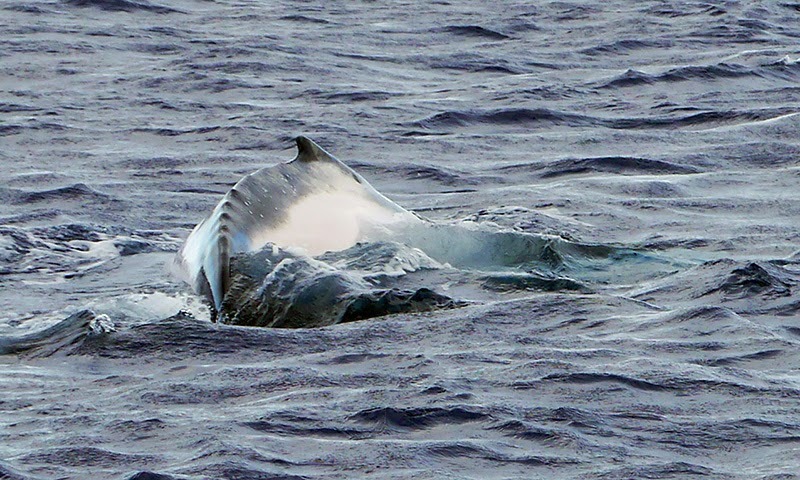 (This whale became known in the anchorage as "the white-tailed whale.") The white-tailed whale was traveling with a bull, and they did not linger that day. 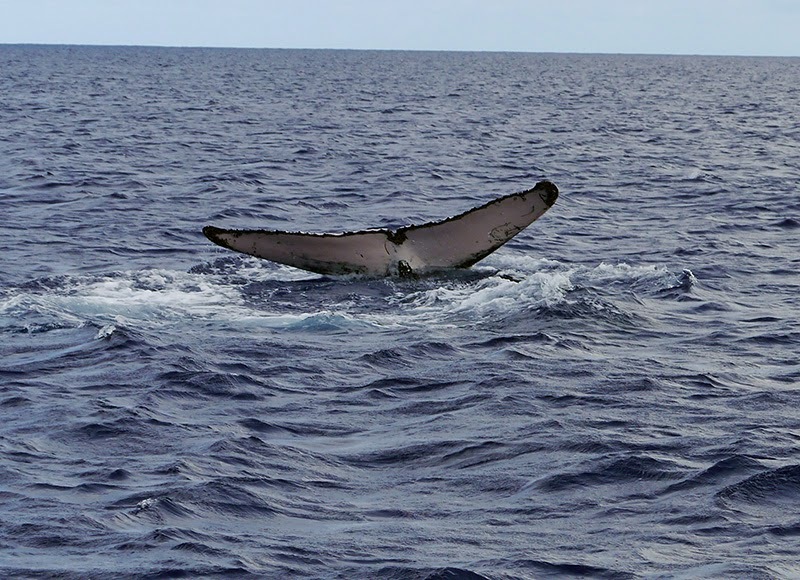 Soon, they were south of us, near the tip of the south reef. 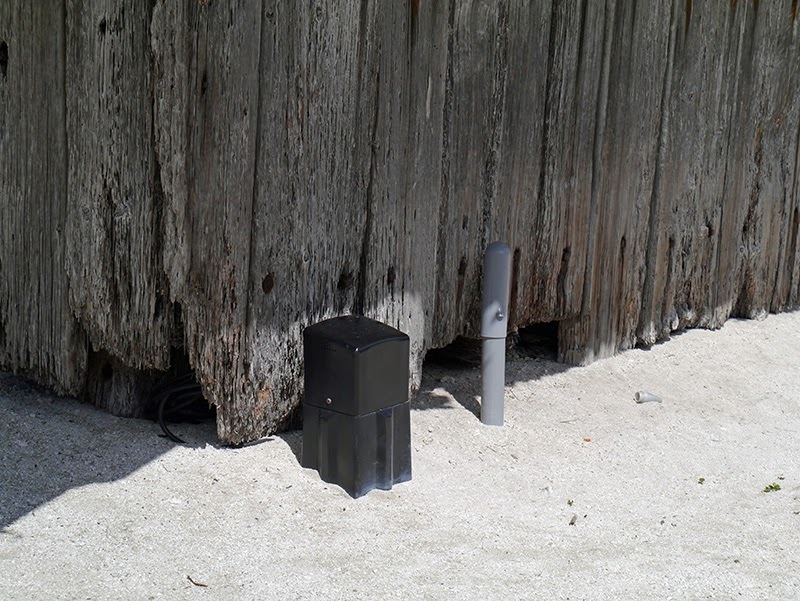 The next day, as promised, Patrick brought his volt meter ashore. He determined there was some output from the generator but not much. Privately, he confided to me that given a week's time and effort, he might be able to do something for the generator; but he was not willing to commit to that given the conditions in the anchorage and the fact that the wind was about to blow from the wrong direction. Since the family had already fed us twice, I brought along some dishes to share for lunch. 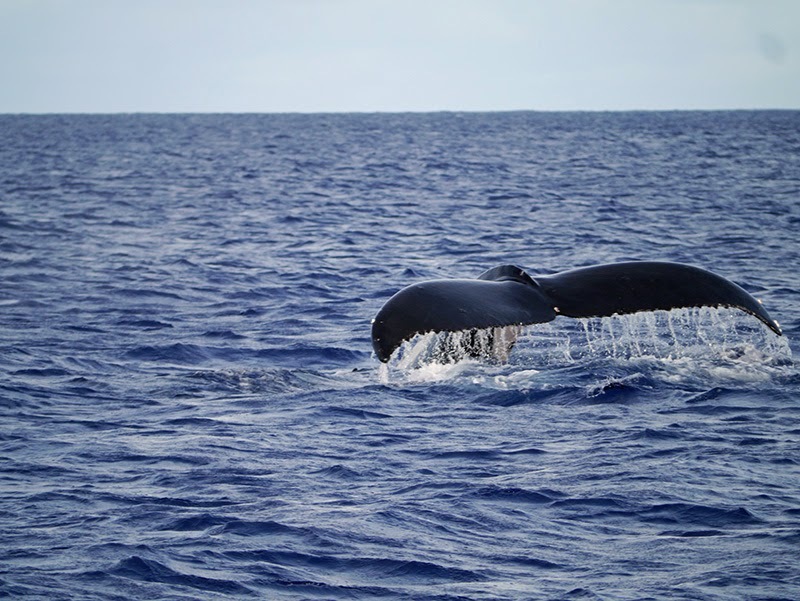 I also brought a coloring book with jumbo crayons for John Willy and some math and science curriculum guides from Rarotonga for John to deliver to his teachers to use as copy masters. 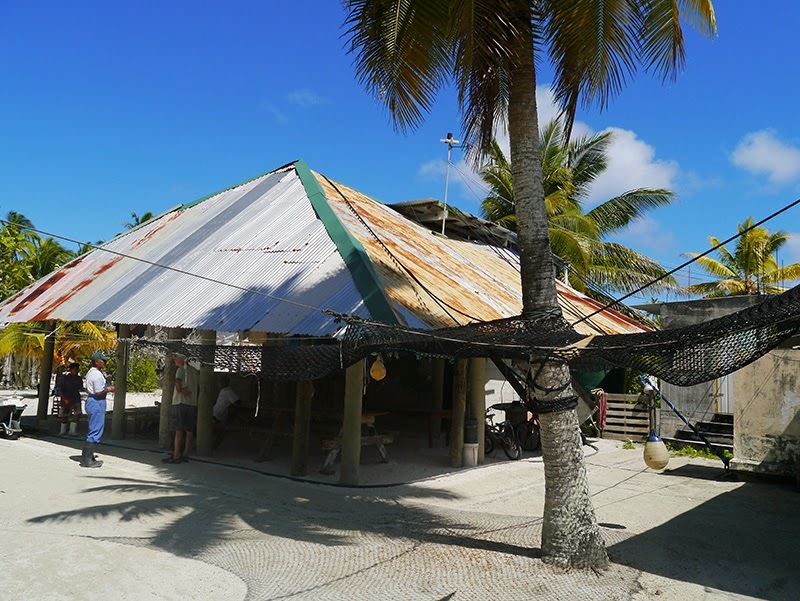 Patrick brought Edward a leader with an oversized hook (from the longline we had snared way back in the Galápagos)---fishing gear that was much too heavily built for our needs---along with a heavy-duty swivel and another large hook that Patrick had purchased in Rarotonga. Edward expressed appreciation for the fishing gear and was most excited about the swivel. He said, "This is just what I have been looking for. I can use this." Then he suddenly said, "Maybe I can use this now!" 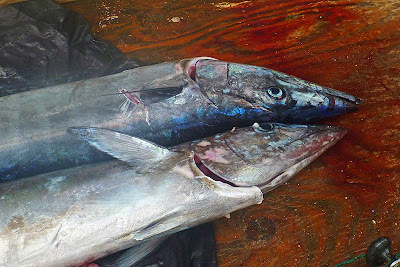 In fact, Edward and David Marsters went out fishing immediately and returned in less than a couple of hours with three impressive wahoo! 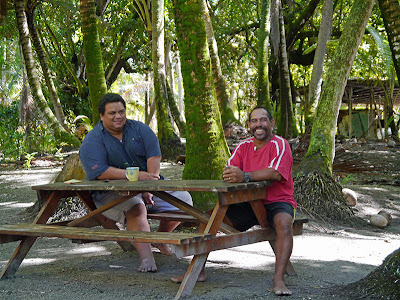 While Edward and David were fishing, we ate lunch with Simon, John Willy, and a friend of the family. During the meal, we sensed that they had lost interest in us due to the fact that we couldn't fix any of the things they needed help with. After lunch, we said our thank you's and farewells and returned to our vessel. 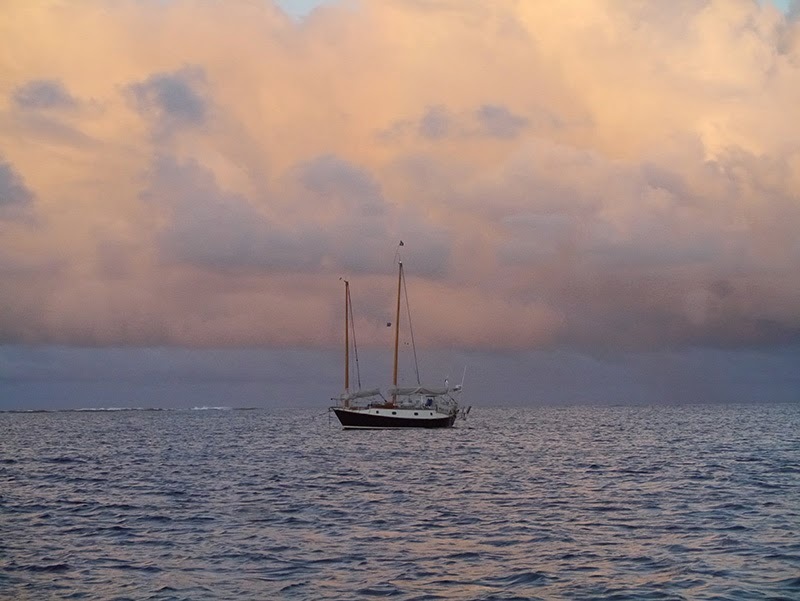 In the meantime, three more boats had arrived in the anchorage (our friend Anthony on Wild Fox and Dolphin of Leith---both of whom we had met in Rarotonga---and the multihull Blue Marble.) The Marsters became occupied with ferrying the Customs, Biosecurity, and Health officers out to the anchorage to clear these boats in. Ashore, they prepared for the next round of tours, gentle interrogations to uncover the new yachties' skill sets, and hosted meals. It seemed to me to be an exhausting way to live: the constant shuttling of people on and off the island, serving them in the hope of getting some useful resources in return. Simon said the lifestyle had its benefits---more interesting things to listen to, he cited---and he said that he didn't tire of hosting the visiting vessels when asked. When you think about it, Palmerston Island is singularly unique. 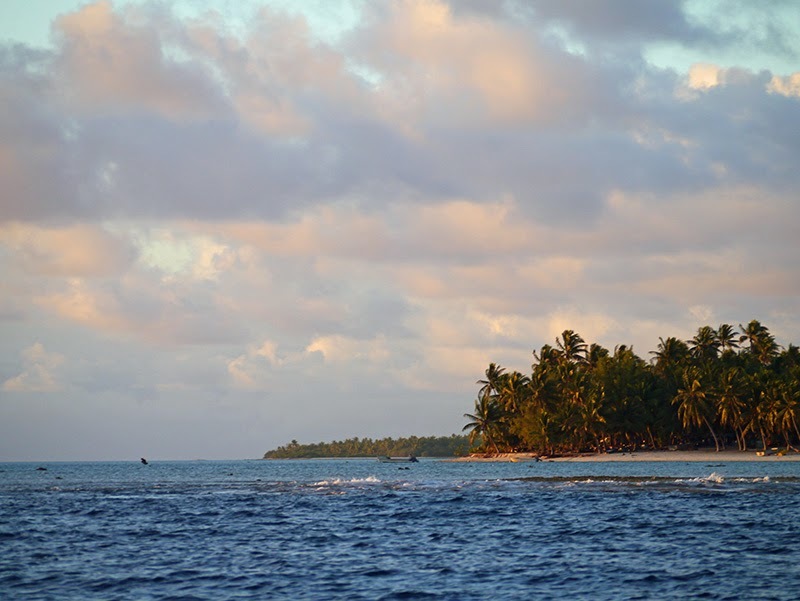 Here, you have an insular island, where practically every inhabitant is related by blood, interacting with the outside world---which presents itself in the form of transient yachts and ships inhabited by people from every corner of the globe. 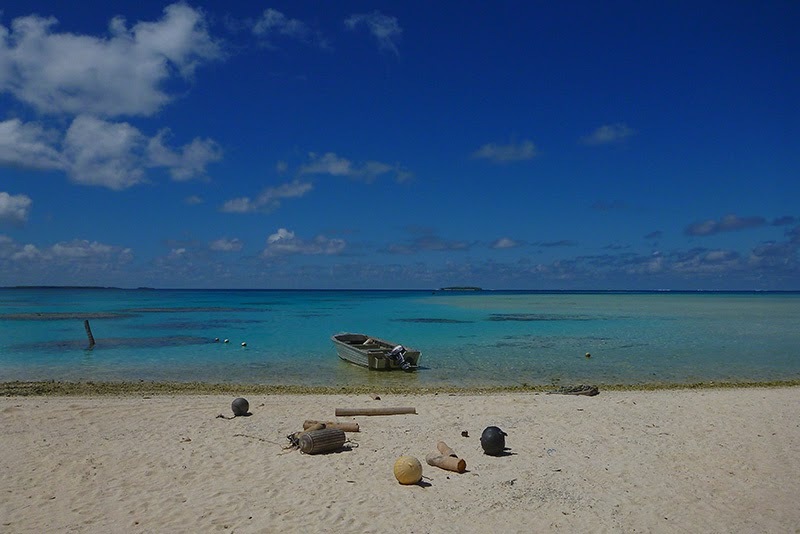 One cannot come away from Palmerston Island without dwelling on the relationship between the islanders and the transient vessels. It is loosely a relationship of interdependency; however, neither party is truly dependent upon the other. 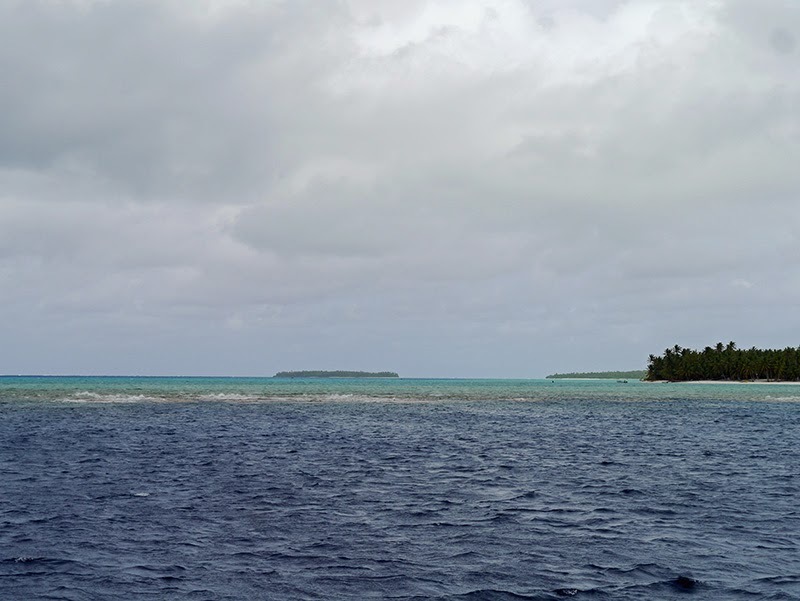 The yachties do not really need to be hosted by the islanders, but if they want to stop at Palmerston Atoll, they do need a mooring. 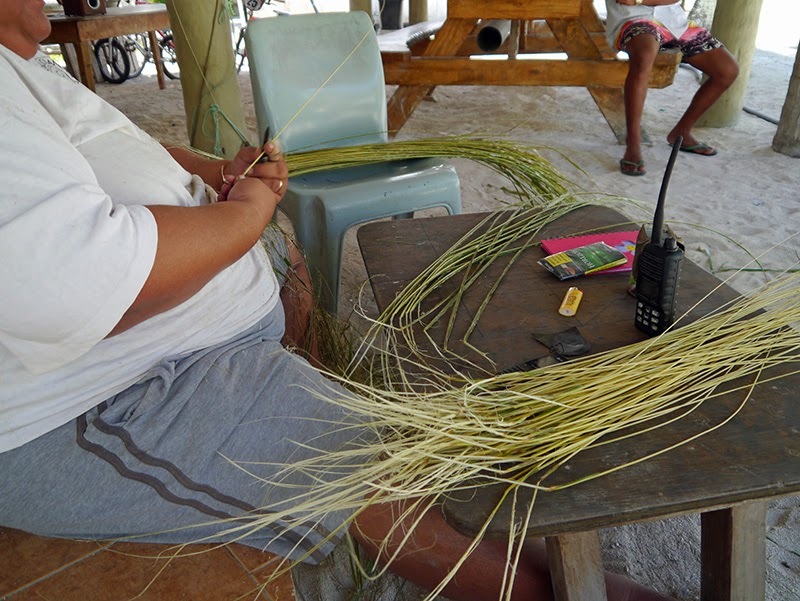 The islanders put what the yachties bring to immediate use, but they can survive just fine on their own on the gifts that come from their motu, the surrounding reef, and the sea: coconuts, parrotfish, lobster, and wahoo. Is it simple curiosity about each other that keeps the yachties visiting and the islanders hosting the visiting vessels? 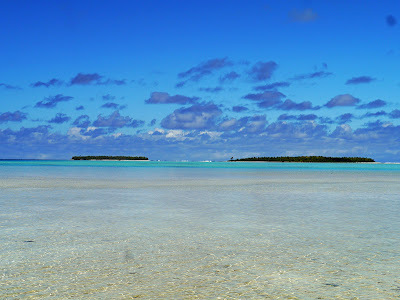 We left Palmerston Island on the morning of our fourth day there. 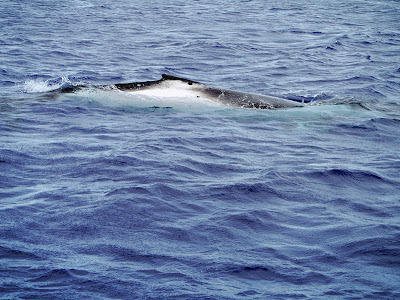 Before leaving, we had a thrilling whale watching experience in which the white-tailed whale and her bull returned. 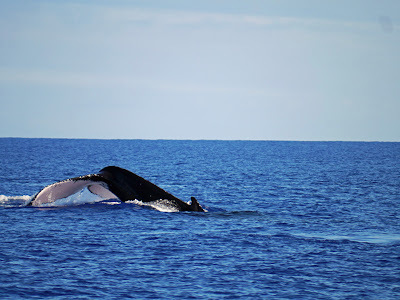 (Patrick had been taking a shower, and I seriously think that our new black bottom paint, coupled with the bellowing sound of the fresh water pump vibrating through the hull, may have caused the whales to come investigate: Silhouette might have been another humpback whale!) 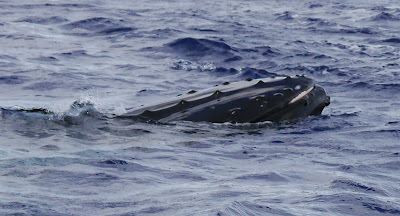 The pair surfaced just feet from the boat and swam, spouted, and dove nearby for what seemed like a long time. 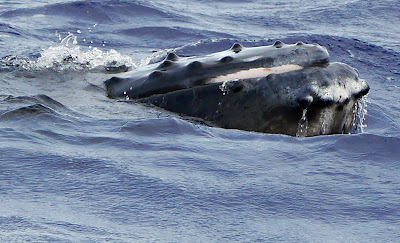 The white-tailed female was shy, and we seldom saw more than her back above the surface. 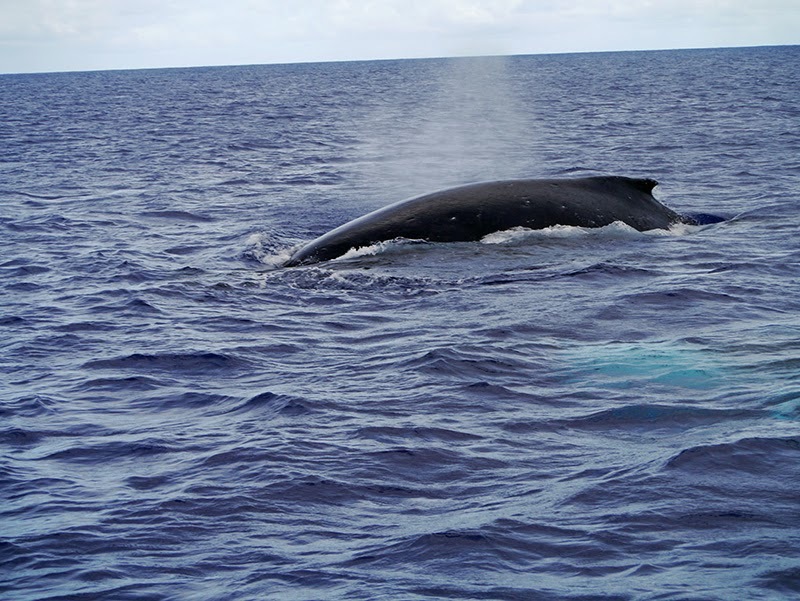 She swam just below the surface alongside Silhouette several times, and I kept hoping she'd surface and show us her whale eye. The bull showed his flukes when diving multiple times. 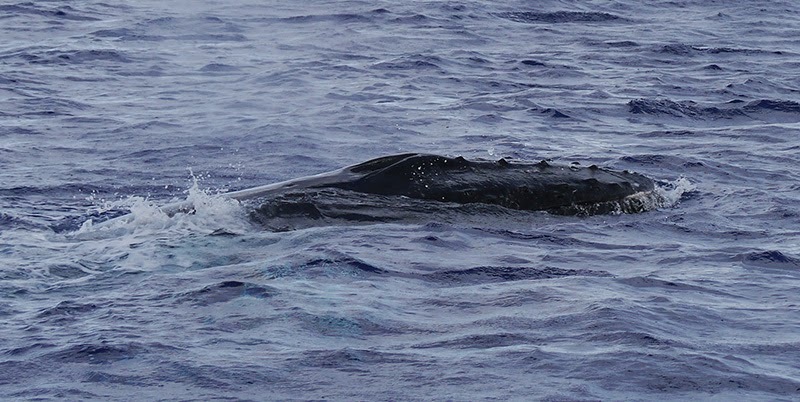 In a rare occurrence, we saw both whales raise their heads. The anchorage at Palmerston Island is spectacularly beautiful and teeming with life, while the social encounters onshore are thought-provoking. 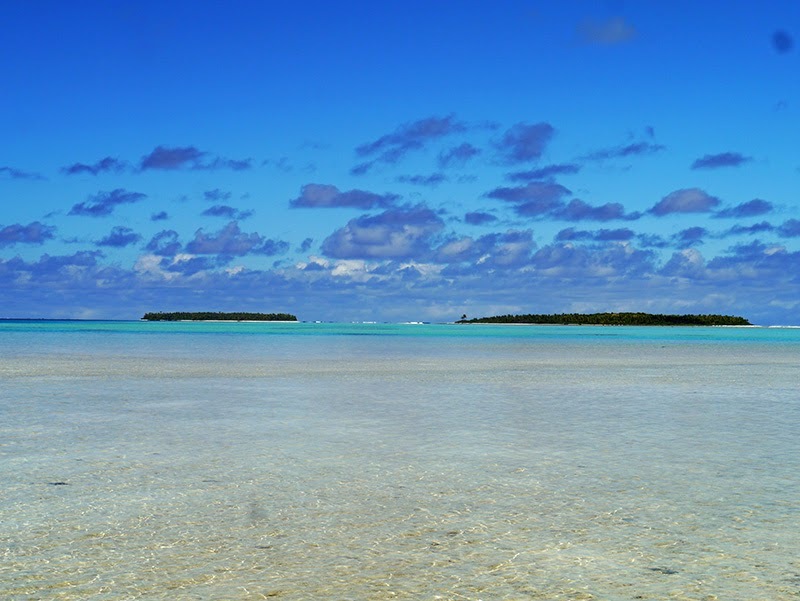 If the wind isn't coming from the west, this atypical atoll is well worth a stop. Posted from Suwarrow Atoll via Ham Radio.